Yesterday morning I dropped my mom off at the airport at 5:20am. She always picks the earliest flight so I was prepared for the dark drive. Since the airport is so close to my work and I don’t have strict hours, I decided to just start my workday at 6:00am. I had a thermos full of coffee and actually opted for no music instead of my usual morning country. The office was practically empty and so quiet, it was kind of nice. I did hit a wall around 1pm and fueled up with some apple slices and peanut butter. I had a gym workout that night that I wanted to be energized for! It’s always a little more difficult for me to run in the evening than first thing in the morning. That’s why this morning I planned a 5:00am treadmill session, logging 5.85 miles during the morning news before the sun came up. 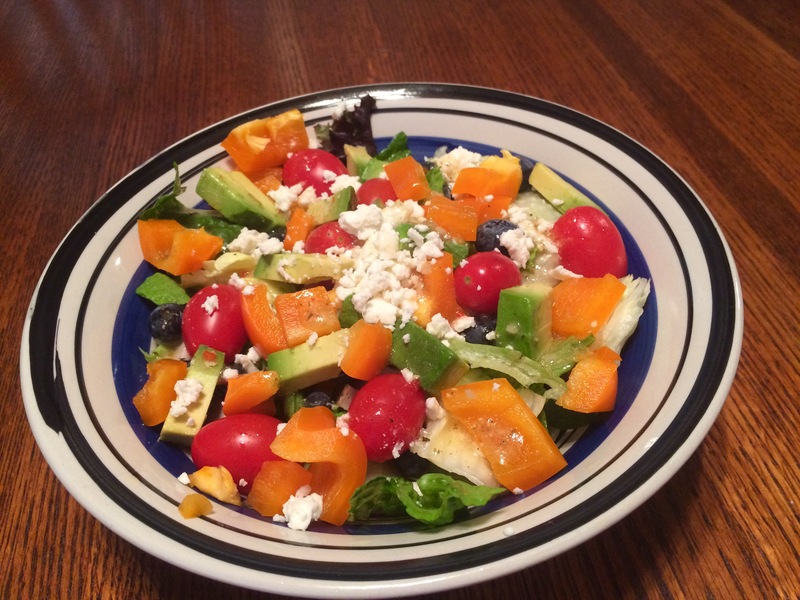 Dinner was a quick salad that we threw together with leftovers, made fancy with avocado and feta and blueberries. But I’m really here to share dessert! Chunky Monkey Ben & Jerry’s is tempting but I had more than my fair share of ice cream in the last couple of weeks of school. 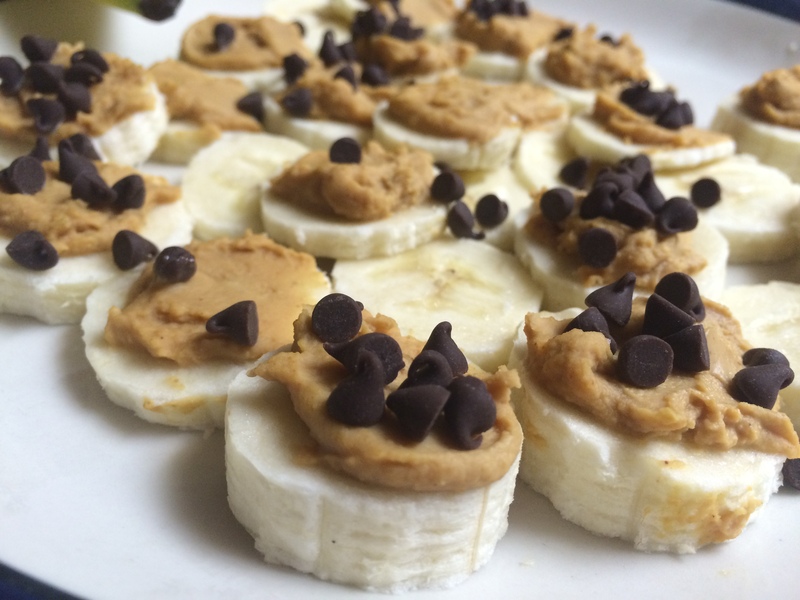 The compromise: frozen banana slices with PB Fit and mini chocolate chips. PB Fit and other similar powdered peanut butters dehydrate the peanut by squeezing out the oils, thus removing about 90% of the fat content. Yes, fats from nuts are healthy and I enjoy regular nut butters regularly! But sometimes when using peanut butter for dessert or extra treat, it is helpful to reduce the calorie and fat content. Plus I genuinely like the flavor and the texture of the powdered pb. I used one large ripe banana, 2 tablespoons of peanut butter powder mixed with 1.5 tablespoon of water, and 2 tablespoons of mini chocolate chips; this dessert is 2 servings at approximately 160 calories each. Since I had to walk to the store after dinner to buy the bananas, the 2 mile trek nearly cancelled out the calories from the treat. Victory! I’m a little tired from the past couple of 4:20am wake up calls and I have another one coming tomorrow so I’m turning in early tonight. Goodnight! Posted on May 20, 2015, in Dessert, domesticated, Fitness, Healthy Habits, Real Life Stuff and tagged chunky monkey, fitness, frozen bananas and pb fit, health, health blog for college students, healthy college blog, healthy college girl, Healthy college student, healthy frozen dessert, nutrition, pb fit, powdered peanut butter. Bookmark the permalink. 2 Comments. PB Fit is new to me! 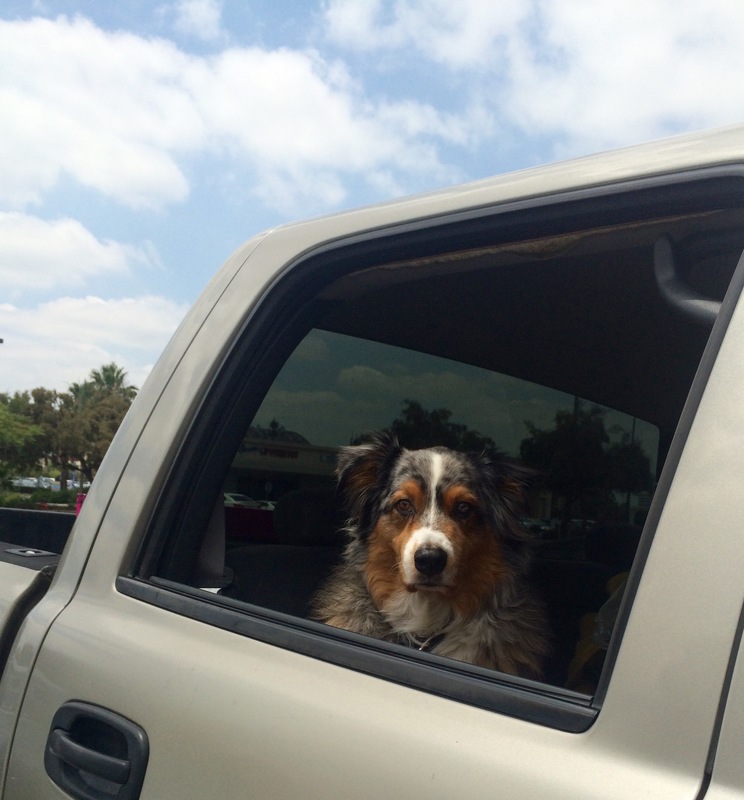 Will you let me try this weekend? I’m just sure I will have to buy a jar! 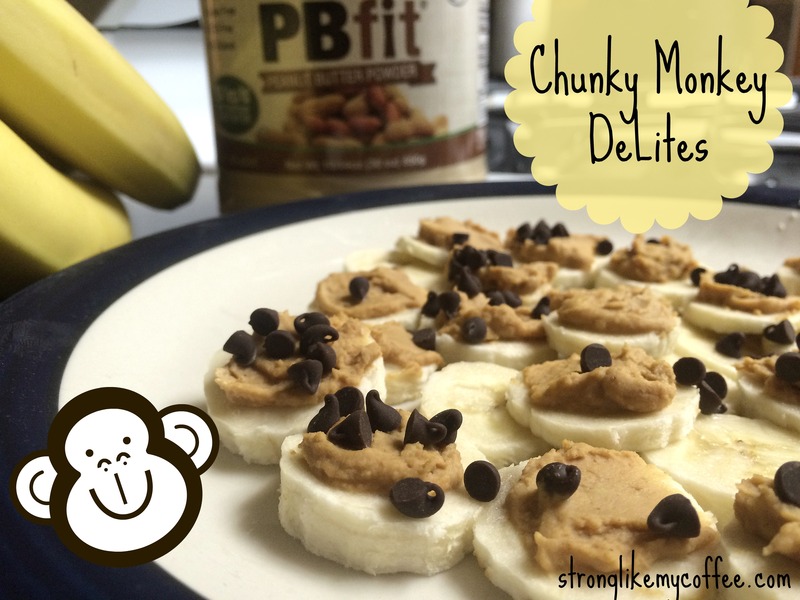 Chunky Monkeys look yummy!